Stunning cliffs, deep blue lagoons and beaches stretched out beside boutique towns. The Bay is an astounding group 144 islands that can easily be reached by a three hour drive from Auckland. Aside from being spectacularly picturesque, the Bay of Islands was the site at which the earliest contact between European and Indigenous settlers took place. 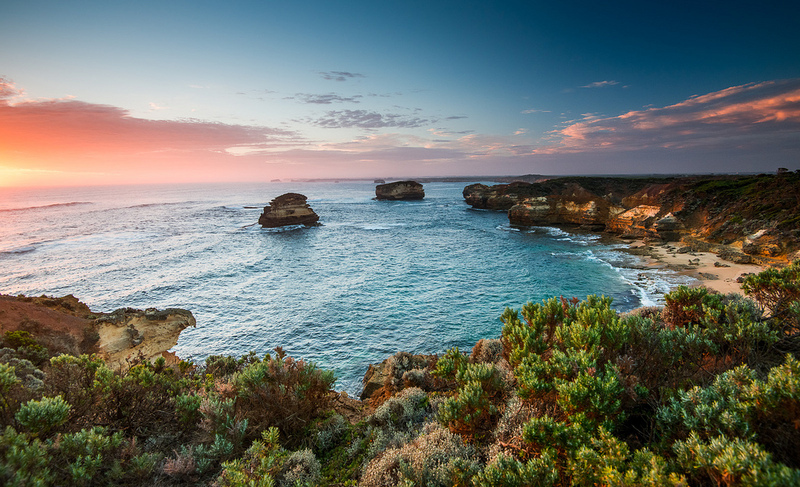 Now, it has become a popular a maritime adventure playground with an abundance of wildlife including penguins, dolphins, marlin, whales and gannets. The Bay of Islands is a great chance to relax on some of the most beautiful beaches in New Zealand, a lot of which are hidden gems nestled away from the hustle and bustle of other centers. In Russell, make sure to visit Long Beach. It’s a 20minute walk from the main town area, but it makes for great swimming and amazing views of Roberton Island. 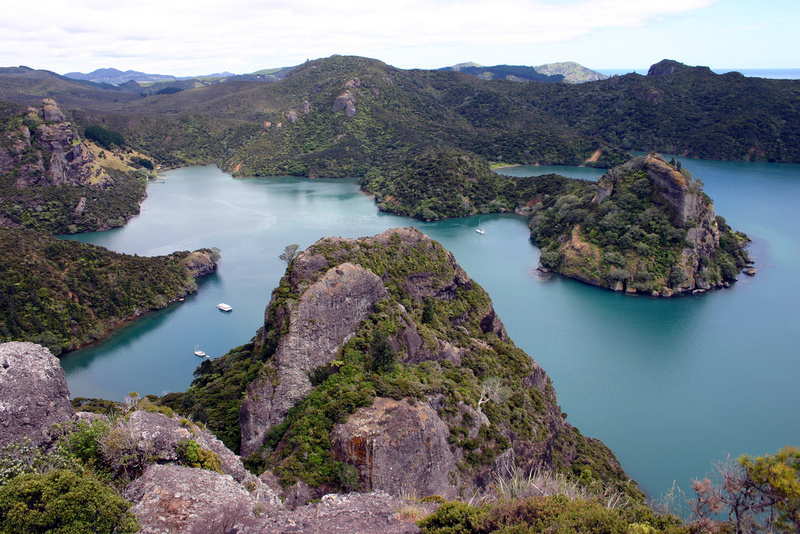 The Whangaroa Harbour is the jewel of the 0ay of Islands, offering spectacular views that encircle the entire coastline, as well as stunning blue water. New Zealand is notorious for being the place to go for thrill seekers. The Bay of Islands is no exception, in fact, it lives entirely up to the name and it has an abundance of activities for every kind of traveller. For those who prefer to stay on land, you have the choice of hiking, cycling, mountain biking, horse-trekking, and golfing. Or try off road driving and riding motorbikes. For those who enjoy more of a thrill, you can go skydiving or board a small aircraft or helicopter for a scenic ride. And it wouldn’t be a trip to the Bay of Islands if there weren’t any water sports thrown in. The region is renowned for pleasure craft cruising and big game fishing. It’s fairly common throughout the areas of the Bay of Islands to see an array of natural flora and fauna. It’s not uncommon for tourists to see seals and dolphins on a swim or a dive. Whilst you’re visiting the Bay of Islands, make sure you go on a dolphin cruise. Fullers Great Sights cruises offer two dolphin cruises. In one, you visit the hole in the rock on a half-day cruise where you can get up close and personal to dolphins and whales. The other is the eco experience, where you get the chance to swim with the dolphins. On land, you can get close to all different kinds of birds, including Oyster Catcher birds. Haruru Falls, located near Paihia, is a spectacular horseshoe shaped waterfall. In Maori, Haruru literally means “big noise” and that’s what makes these waterfalls so captivating. They’re loud and rushing and stunning. In the 1800’s, more than 100 Maori villages had lined the bustling banks of the Haruru River. 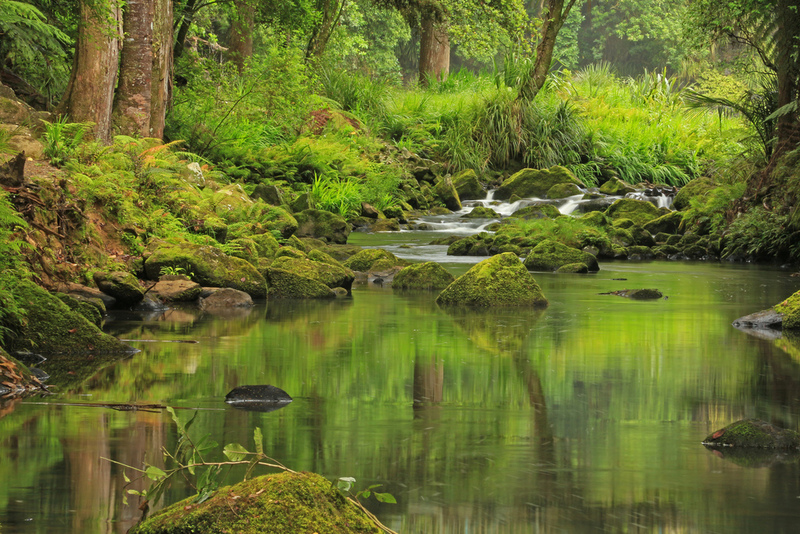 The river flows directly to the sea at Waitangi, and legend has it that there lives a water monster in the lagoon located below the waterfall. Because of its history, the area surrounding the bay offers glimpses into the early settlement by whalers, missionaries and explorers. Visit Waitangi to view the treaty house where the former British commander lived, and where New Zealand’s most significant document, The Treaty of Waitangi was signed in 1840. Visit Russell, a small town, which was once the capital of New Zealand and now remains a lively place, great for relaxing or dining in world class restaurants: the Duke of Marlbourgh Hotel and the Gables to name two. Afterwards, make a trip to Kerikeri, the place where the earliest permanent settlement existed in New Zealand and now houses some of the oldest houses in the country. Stunning photos! I am going to New Zealand soon. Will definitely visit that place!